10M 33FT 100Led 3AA Battery Powered Decoration LED Copper Wire Fairy String Lights Lamps for Christmas Holiday Wedding Party It is perfect for any floral arrangements to party decorating, from bouquets, cakes, or any other special occasion events you might have. Party events such as weddings, birthdays, holloween, christmas, or any other special events or craft projects you might have. Package contains 1set 10M 100 Led String , Each String light with a 3AA Battery pack (not include the 3AA batteries) . 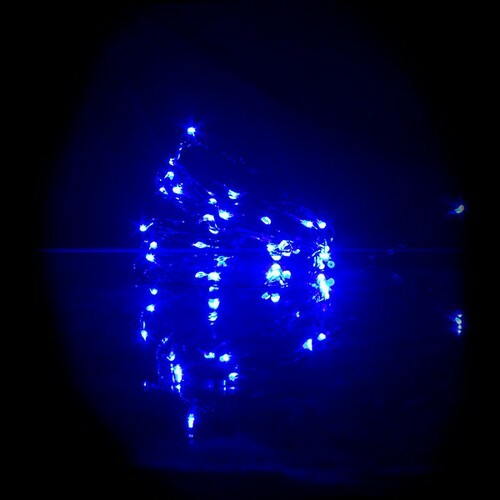 10 meters 33FT 100 tiny but very bright LED’s embedded on a flexible copper wire 360 degree light visibility.